Photo at right by Stan Shebs. 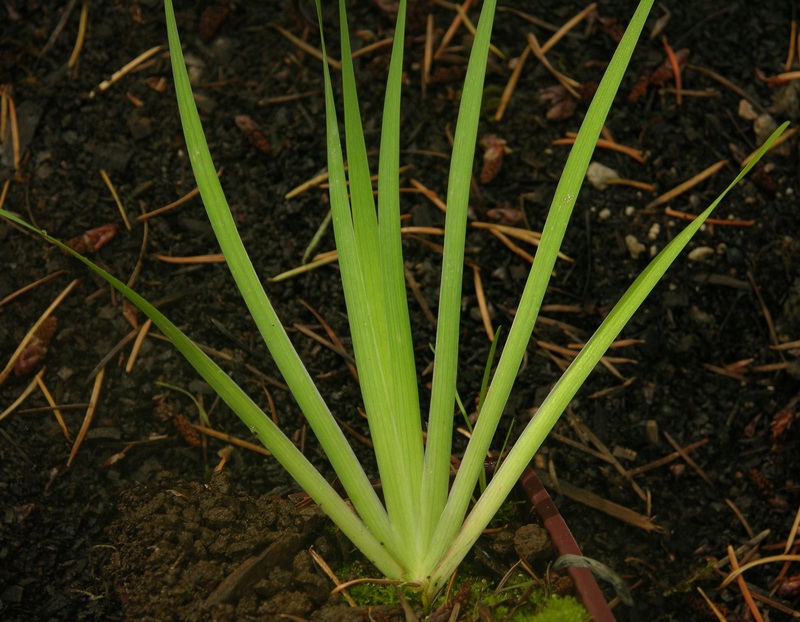 This grass-like perennial is in the Iris family. 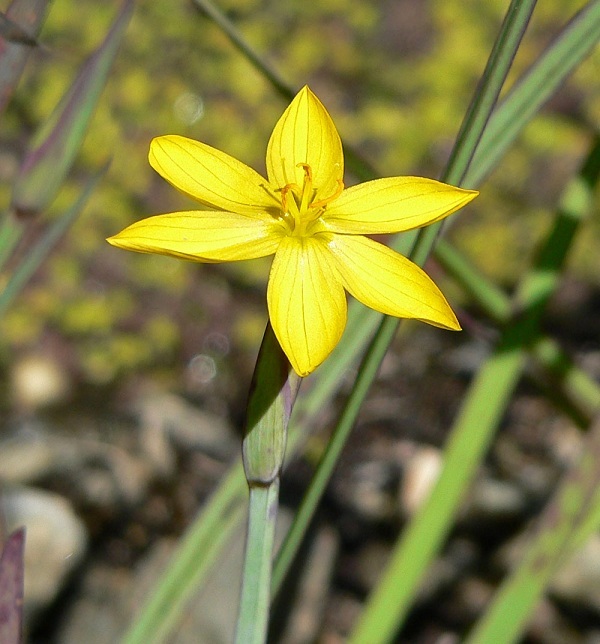 From the clumps of grass-like foliage sprout bright yellow flowers with six petals and noteworthy veins. They bloom throughout the entire summer, opening wide in the morning but tucking in for a siesta during the hot afternoon sun. 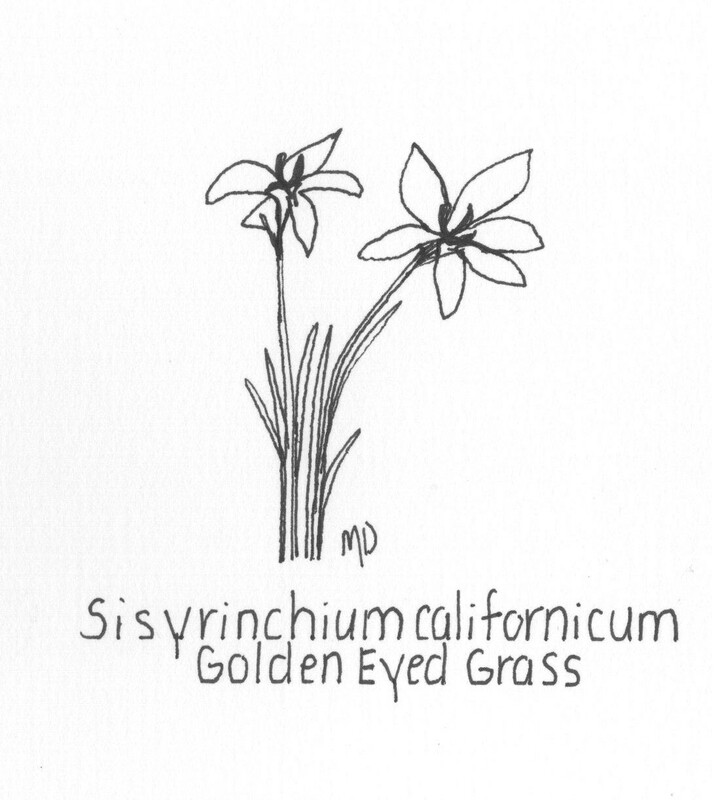 Golden-Eyed Grass likes moisture in the early spring and cannot survive drought conditions. Found in wetlands at low elevations from southern Vancouver Island to California, USDA 8-10.